The Forensic Science Service (FSS) is one of the world’s leading providers of forensic science services, and is the market leader in the UK. Its principal activities encompass a range of services for forensic casework, consultancy and training (including development of new forensic establishments abroad), paternity testing, and the supply of high-quality evidence recovery kits and packaging (Scenesafe). The objective of the search was to enhance FSS’ sales strategy and sales management capability, and a rigorous search of the pharmaceutical market was conducted. Thomson Elite is a leading provider of integrated information solutions for professional service firms worldwide. Thomson Elite is part of The Thomson Corporation (NYSE: TOC; TSX: TOC), a premier provider of financial and practice management solutions. Spectrum was engaged by Elite’s Chief Marketing Officer International. Verne Global owns and operates a data centre campus in Keflavik, Iceland, and is powered by 100 per cent clean energy. UC4 is a leading global provider of workload automation, job scheduling and IT process optimisation solutions. Spectrum was engaged by UC4’s Chief Sales Officer to conduct this search. OpenCloud was formed in New Zealand in 2000 to create open standard software that would revolutionise the portability and interoperability of services in telecommunications, specifically in the evolution to IP and 3G IMS. Spectrum was engaged by OpenCloud’s CEO to conduct this search. Liquavista spun-out of Philips Research Labs, and uses advances in materials and technology to create Electrowetting displays that offer significant advantages over existing and emerging display technologies. Producing bright, colourful images, which show video content at very low power, Liquavista’s products offer excellent indoor and outdoor viewability and are ideally suited for a wide variety of portable and mobile applications such as MP3 players, watches, cameras, phones, DVD players and automotive applications. Liquavista’s early applications, which enable bright vibrant colours in simple displays, entered the market in 2008. Spectrum was engaged by Liquavista’s CEO to conduct this search. NextiraOne is the largest independent communications solutions provider in the world. With a strong enterprise focus, the organisation provides vendor-independent managed and specialist services across Europe and North America. Having appointed a new Managing Director in May 2003 to lead the revitalisation of the UK operation, an experienced Sales Director was sought as part of a broader management recruitment process. Spectrum was engaged by Simon Gibbs, NextiraOne’s UK Managing Director. Tertio Telecoms was backed by Advent International and Apax Partners, and provided provisioning (‘Provident’) and mediation (‘Evident’) software solutions to tier one and two telecoms operators in 36 countries worldwide. 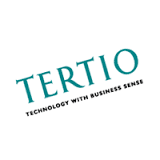 Having completed a strategic review of the business, the Board wanted to recruit an experienced and passionate Global Sales Director from an OSS or enterprise software background to be at the very heart of the next phase of development for Tertio: extending its market leadership and building value towards a successful exit. Spectrum was engaged by Nigel Clifford, then CEO of Tertio Telecoms. American Greetings is the world’s largest publicly listed creator, manufacturer and distributor of social expression products. It has a market capitalisation exceeding $2bn, employing 20,000 worldwide, and is home to one of the world’s largest creative studios. AG Interactive (AGI) was the corporation’s new media subsidiary, and a Country Manager was required for the UK – the key European market for AGI – to manage and develop relationships with the UK networks of all the major mobile operators and providers of instant messaging services. We were delighted by the speed and quality of Spectrum's work, the professionalism and superb follow-up and the added value they provided in recommending both a firm of lawyers and accountants to further support our new UK operation. This was the best experience I have had with a recruiter in my professional experience. Organic company growth is obviously achieved through revenue growth. Here at Spectrum, we recruit more sales leaders than we do any other functional leadership discipline.